Gao’s faced with grave challenges on his way to the Buddy Champion Title! Not only is his adversary getting stronger than ever, he’s confronted by a new, evolutionary fighter that will bring about a new era! Acquire their supreme power in this special set! 3 pre-constructed start decks contain a total of 156 pre-set cards. 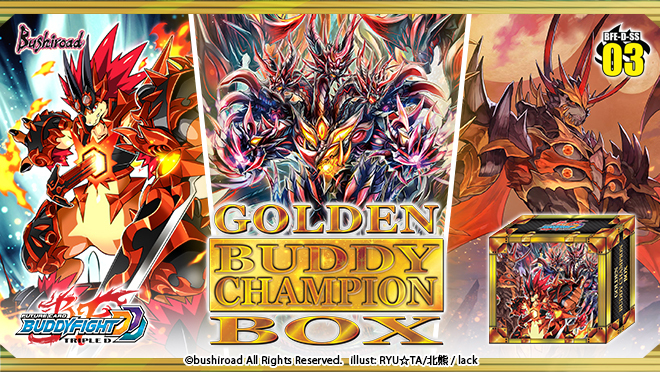 Storage box and 3 BuddyRare Rarity cards will be included in the product.